Seasonal fruit is an explosion of colour and flavour, pair it with cottage cheese and Weet Bix™ Cholesterol Lowering for a nourishing breakfast. Combine fresh fruit with half the passionfruit pulp. 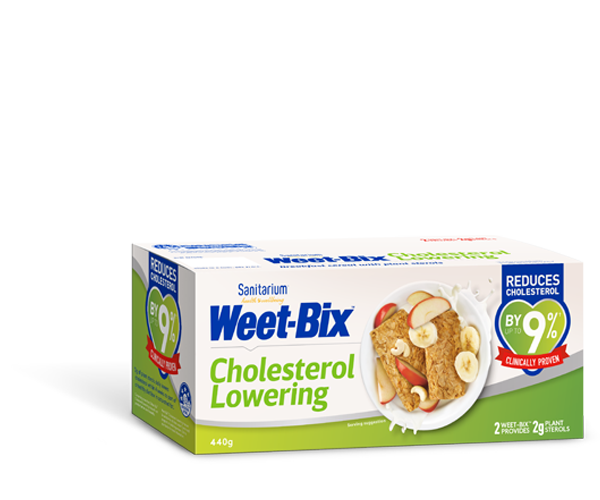 Roughly break up Weet-Bix into a bowl. Add cottage cheese, fruit salad and remaining passionfruit pulp. Any seasonal fruit will work for this recipe, we used strawberries, blueberries, peach and kiwifruit. Substitute orange segments and grapes in cooler weather, or make your own combination from your favourites!